Ahead of my first Self Care Sunday: Yoga & Gut Health; the gut healthy yoga brunch I’m hosting with the LOVELY yoga extraordinaire Lucy Victoria Jackson (pictured below), I wanted to share a bit about why we’ve created this event. Yoga and gut health might seem like a bit of an odd pairing at first, but they help each other out in more ways than meets the eye. The more I delve into the world of gut health and fermentation, the more I realise that EVERYTHING they are involved with is based upon beautiful symbiotic foundations. There really is no end to the magic of microbes! The Yoga and gut health duo is no exception but I have (rather stupidly, I now realise) only covered one side of the story in this blog. Gut Health for Your Yoga Practice will have to wait for another post! - The twist poses in yoga aid digestion as they apply pressure to your digestive organs, helping them to release toxins and waste matter. You may have noticed that in twist poses, you’ll twist first to the right and then to the left. This helps the natural flow of the digestive system (which flows from right to left), encouraging waste and gas to move along the transverse colon to the descending colon. Don’t tell me you’ve never left a twist-heavy Yoga class feeling a little windy! - You’ll know that the gentle poses in a yoga practice help to relax your whole body, but did you stop to think that that includes the muscles surrounding your gut? So many of us hold tension in our abdomen (I am terrible for doing it), whether that’s by holding our tummies in or because we become tense during stressful periods. Tension restricts movement, wherever it’s held. Dedicating some time to a relaxing Yoga practice - therefore allowing your tummy to soften - will ultimately allow your digestive system to function as it should. - … Deep/belly breathing, which is mindfully practiced during a yoga flow, meditation and/or breathwork, is another way to give your gut a little massage. Great for all the reasons mentioned in the previous point. - During Savasana (the lovely relaxing bit at the end) your body enters rest and digest mode. Oxygenated blood flows to your digestive organs, enabling them to work on digestion, cleansing and healing. - A yoga practice is a fantastic way to manage and reduce anxiety and depression. Have you ever heard the gut being referred to as the second brain? That’s in part because the gut and brain communicate via a two-way nerve called the Vagus Nerve, meaning the brain feels what the gut does and vice versa. It’s more scientifically known as the gut-brain axis. A stressed brain = a stressed gut, so the more you can do to relax your mind will also help to relax your gut. - What’s even cooler is that between 80-90% of the hormone Serotonin (the happy hormone) is produced in the gut. Committing to a regular Yoga practice - that improves your gut health - means you’ll be doubling down on the anxiety and depression reducing factor. - As well as reducing feelings of anxiety and depression, Yoga is well renowned for reducing stress. It’s not just a diet full of processed foods that reduces the strength and diversity of gut bacteria... chronic stress does as well. Yoga = less stress = stronger, more diverse gut bacteria = a healthier gut. - Backbend poses, such as Camel, Bow and Wheel Pose, stretch the stomach and intestines and can alleviate constipation. These are my favourite to practice after a day of building tension in my abdomen. - I’m glad we’re at a point in time where we (again!) realise and acknowledge that our whole body is connected. Tight hip flexors are a sign of the times. We spend approx. 90% of our day inside, probably sat on the sofa, at your desk or in bed, which does our hip flexors no favours at all. The hip flexors (the psoas muscle), run from deep within the hip joint all the way to the sacrum (bottom of the spine) and act as part of the shelf (together with the pelvis and pelvic floor) which supports the digestive system. Tight psoas can constrict the digestive organs, affecting flow and how well we digest food. I’ve absolutely loved researching this post. Most of it I was familiar with, but I discovered some real gems along the way (the last one in particular). Have you found improvements in your gut health since committing to a regular yoga practice? Lucy and I are really looking forward to meeting those of you that are coming to our first Self Care Sunday. If you were unable to come to this one, we hope to make them a regular thing, so keep your ears to the ground. My first experience with the humble elderberry was when I was a wee young thing. My dear Gran used to look after my sisters and me in the Summer holidays and we would often rope her into doing all sorts of things, as grandchildren are so very good at doing. Her well-thumbed WI Cookbook would always be pulled from the shelves and on this occasion, I stumbled across a recipe for elderberry syrup. It must’ve been the very end of the holidays as a few moments later, we were walking down the lane to pick ourselves some elderberries. Once we had cleaned, picked and simmered the elderberries in water and sugar, we strained and bottled the cooled liquid and put it aside until it was ‘ready’… reading this back now, I really have no idea what we made that required us to wait! Wine?! After all that effort and patience, I couldn’t wait to taste our magic potion. A few visits later, we popped the top, mixed with water and sipped on a glass. I HATED it!! I was so disappointed and vowed never to try elderberries again with no idea that years (and years) later, I’d be flavouring Kefir with it and drinking it like it was going out of fashion! - Elderberries immune boosting power comes from the flavonoids (a group of phytonutrients aka plant chemicals, responsible for vivid, deep and rich colours in plant foods). Flavonoids are powerful anti-oxidants that help keep our immune systems fighting fit. - Elderberries are extremely high in fibre, therefore promoting good digestive health and constipation relief. We use re-hydrated elderberries to make an elderberry puree to flavour our Autumn Berry Kefir, meaning some of that fibre remains in the bottled, finished product. Dried elderberries can also be added to cakes, muffins, sauces and jams to increase their fibre content. - Elderberry syrup has been used for centuries to ward off and treat colds, coughs and flu. It boasts anti-viral and anti-bacterial properties and works a treat… hence it sticking around for so long. - High in both vitamins A and C, elderberries are a great addition to your diet if you’re looking to improve the health and appearance of your skin. - Elderberries have anti-inflammatory properties and can help to reduce swelling in mucous membranes such as your sinuses, helping to reduce nasal congestion, aka the sniffles! Instagram can be a wonderful place, can’t it?! One of my favourite people to follow is Dr Megan Rossi, aka @theguthealthdoctor. She shares a wealth of ‘no bullsh*t’ gut health related information, demystifies studies and debunks media articles which I just LOVE to read! One of her recent posts posed the question: is a vegan diet healthier for your gut than a non-vegan diet? She often asks these questions as polls in stories. I answered ‘no’ but was pretty sure the answer to this one wouldn’t be a straightforward ‘yes’ or ‘no’. I was right! Whilst a vegan diet isn’t necessarily healthier for your gut (vegan doesn’t always mean healthy), a focus on plant-based foods is. Your gut microbiome relies on a variety of foods to build a diverse community and in gut terms, diverse = strong and health and Dr Megan Rossi’s recommended weekly target is 30. That’s 30 different plant species throughout the week. Is that achievable? * A combination of precious kitchen space, weekly - rather than daily - shops, bulk cooking/meal prep, busy schedules and small households means it’s all too easy to fall into a routine of eating the same (or very similar) foods, every day. When you cook a big meal on a Sunday, the likelihood is that you’ll be eating that same meal for lunch/dinner for the next 2–3 days. When you buy a bunch of bananas, at least one of your 2-3 daily pieces of fruit is going to be – you guessed it - a banana! You get the gist, I’m sure. So, I decided to record the plant foods I ate for a week, to see if I was anywhere near hitting the target. Honestly, I wasn’t so sure that I was going to, for all of the reasons listed above. I, like many others, have been so busy thinking about what I eat in a day (am I getting my RDA of fruit and veggies, fibre, protein, etc?) that I really wasn’t paying too much attention to how that panned out as the week went on. Wow, day 7 was a good day!! Jokes aside, all in all, I ate 43 different plant species. I was really careful not to fudge the results by doing anything different than my norm and am pleasantly surprised. Looking back, what I think helped me achieve the target was making dishes where I could sneak in extra ingredients, such as the crumble I made at the beginning of the week (the topping alone contained 5 different plant species), or the savoury veggie pancakes I had towards the end (the fillings were very veg heavy). I could’ve varied my grains/legumes a bit more, so will make a note of that for the future. Over the winter, I’ll make sure to pack my stews and curries with veggies and grains and I’ll be interested to give it another go to see if the results are at all similar. 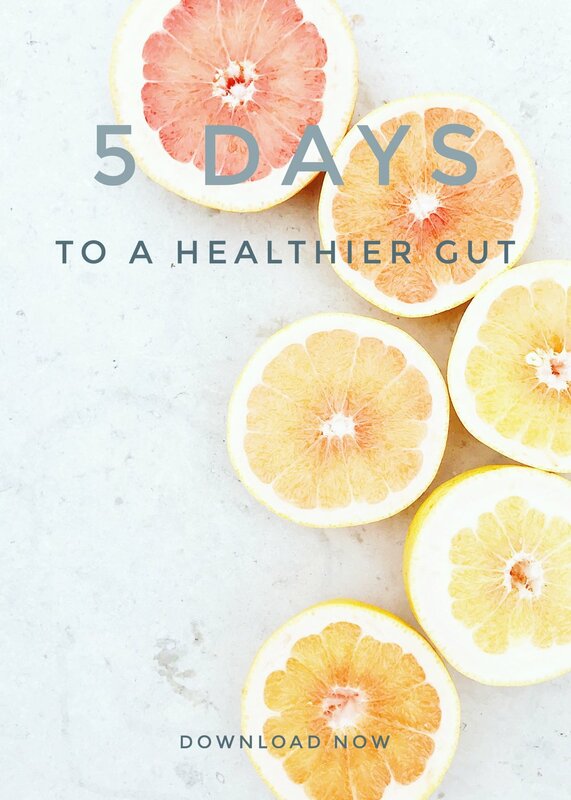 If you fancy giving this a go, please share the results with me over on Instagram @fermentedbylab – let’s raise the awareness of this weekly target and all help each other achieve a more diverse gut microbiome! *Megan does recommend just adding one extra plant food to your week if 30 seems unachievable. Discovering the root cause of a health issue is often a complex task that needs to be approached from different angles. I've been asked a few times about what else I do - outside of the fermented food/gut health arena - to ensure my skin stays healthy, so I thought I'd create a blog post to consolidate it all. As many of you may have read, fermented foods and improving my gut health were key to me healing from TSA/TSW (Topical Steroid Addiction/Topical Steroid Withdrawal). They were, and still are, the cornerstone of how I manage my eczema - medication free - in a more natural and holistic way. - Eat/drink something fermented every day! -Plenty of fibre in my diet. Fibre is fuel for gut bacteria. -Eat lots of plant foods! - Yoga as much as I can. To get my blood flowing, system moving and mind calm. - Daily 10 minute meditation. Stress has such a huge impact on my health and my skin. I find the Calm App to be best suited to me. - A water softener as I live in such a hard water area. - Early to bed and sleep for 8-9 hours every night, although this is a constant work in progress! - Natural skin products and no make-up (natural make up for when I have to!) I’ve actually now started making my own. - Limited/no alcohol. I've tried natural wines but find I wake the next morning more inflamed than I'd like. - Plenty of water throughout the day and herbal teas depending on my mood. - Limited sugar. I tried totally sugar free for a while but am only human and missed treats! Saying that, I stick to the more unrefined sugars and try to keep my consumption below the RDA. Diet wise, I do avoid cow's dairy and gluten as they tend not to sit well with me (although I've recently been experimenting with sourdough), and am mindful of my consumption of goat's dairy as it can make my skin feel 'damp/clammy' (you'll know what I mean if you suffer with eczema) I've found what works for me and do experiment from time to time. The wellness world can be so black and white about what's 'good' and 'bad' for you. It doesn't allow for exceptions to rules and that can cloud judgement. For example; I've found that I'm absolutely fine with ghee but not with butter. In essence, they're kind of the same thing but the way in which ghee is made makes it tolerable. My point here is: don't be too strict when it comes to food and food groups. Experiment, test and keep an open mind. Lastly, over the past couple of years, I've been taking more interest in Ayurveda. It's something I've only recently started incorporating into my daily life but find it really helps. I've found it a really gentle and sympathetic way to approach my health, making tweaks here and there when I need to. I would really recommend looking into it. I really hope the helps some of you on your quest to better health. As always, please feel free to ask any questions either in the comments below or by emailing me. Does Fermented Food + Drink Help Reduce Body Fat? Metabolic disease is a modern, umbrella term for a cluster of conditions including high blood pressure, high blood sugar, high cholesterol, diabetes and obesity. Those effected are at a significantly greater risk of heart disease, stroke and other blood vessel illnesses. According to the NHS, one in four Brits are known to have metabolic disease (in one form or another) and while we all know that leading a healthier lifestyle reduces the risk, you will be pleased to know that ferments also help along the way! Life is rarely a straight line. Alana Holloway knows this only too well. Her understanding of the enormous influence our gut microbiome has on our health comes from direct experience of what can happen to health when things aren’t right in the gut department.